LEGO has spoiled us with an enormous choice of colors over the past couple of years, most notably in the Elves and Friends lines. 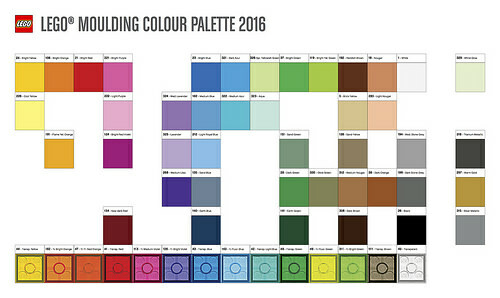 So it would be foolish not to keep an eye on new trends in the color industry. 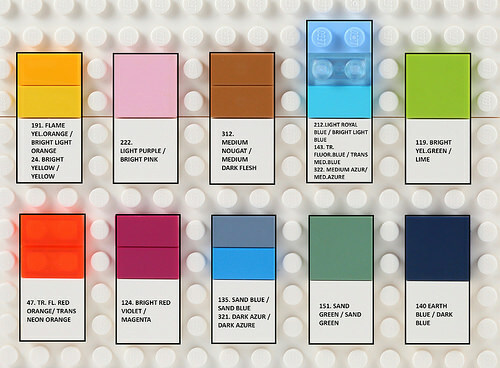 Now that LEGO has unveiled most of its lineup of sets for the first half of 2017, it’s about time we looked at them in terms of colors using the Pantone Fashion Color Report. This annual report, presented by the Pantone Color Institute, the world leading provider of color systems, predicts the top 10 trending colors for the upcoming 2017 spring season. Based on a list of the most popular colors seen on the world’s hottest fashion runways, this guide includes hues described as natural and vital, rustic and relaxed. 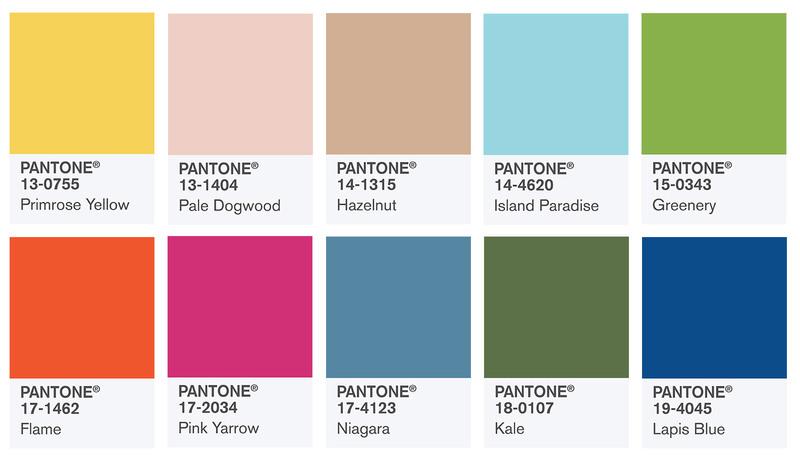 According to Pantone’s press release, the selected colors are perfect for portraying the warmth of a sunny day (with PANTONE 13-0755 Primrose Yellow) or conveying the feeling of breathing fresh mountain air (using PANTONE 18-0107 Kale), while PANTONE 14-4620 Island Paradise represents the tones of some far away exotic location. Clearly any self-repecting, fashion-conscious LEGO fan will want to stock up on next season’s trendiest colors as fast and efficiently as possible. So which sets should we begin hoarding in the new year? We browsed the Spring 2017 themes to create the ultimate shopping list for a multi-colored and diverse refresh of your LEGO collection. We’ll start with some basic options and work all the way to the most fashionable new sets. Feel free to use the current official LEGO color chart to compare the selected colors with the wide range of the colors available. 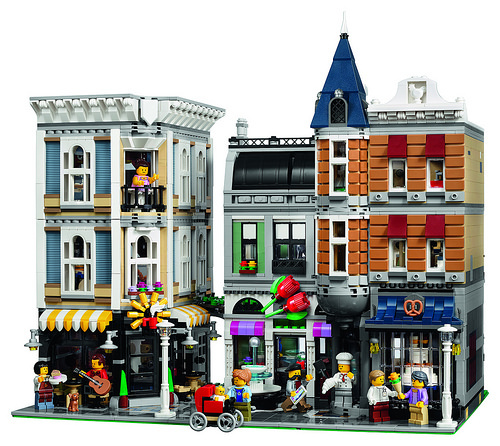 LEGO Architecture sets regularly feature lots of tiny pieces in tan and light grey, as they are the colors of the most common building materials: stone and steel. 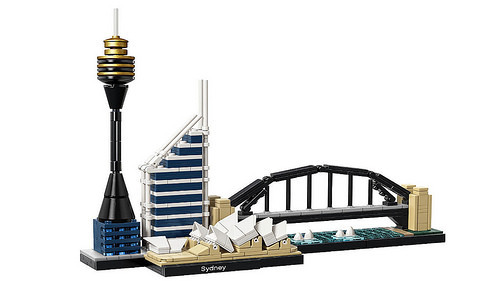 However, the new 2017 sets, which recreate the world famous skylines, bring many more colors into play. And while 21034 London reintroduces some old parts in new medium blue, 21032 Sydney brings us a bunch of plates and bricks in calm lapis blue (aka dark blue), which goes especially well with white pieces. 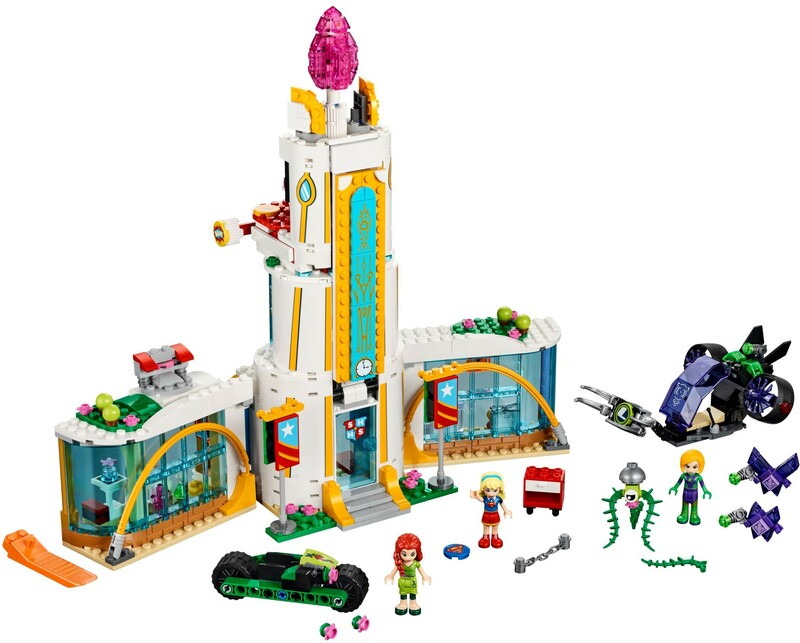 Like the previous pick, this set can also be classified as a piece of architecture, but of a completely different style. 41232 Super Hero High School is one of the largest among the new DC Super Hero Girls line, and is quite rich in new colors. Mixing bright orange and medium azure is almost never a good idea, unless you add a bunch of other rich shades like green, purple and pink. If you’re tired of the surfeit of plain yellow bricks in your inventory, you ought to look at getting some bright orange pieces, while azure always nicely compliments any other shade of blue. A bunch of transparent medium violet plates and cheese slopes is another huge bonus of this set. Nexo Knights is definitely not the most popular theme among adult fans. The setting of the story and the main design features might be pretty questionable, but it looks like the upcoming sets get a pleasant minor color update; especially the bad guys, whose new shades are simply stunning. 70351 Clay’s Falcon Fighter Blaster is a medium-sized well-balanced set which features all the good stuff: a pinch of transparent neon orange parts (along with regular orange Technic parts), a bunch of tiles in dark azure (including at least 8 new 2×2 cut-off corner tiles!) and a dazzling combination of transparent blue and purple for evil monsters. We wish there were more elements in transparent blue, but this set is still a good start if you haven’t got any of this color before. 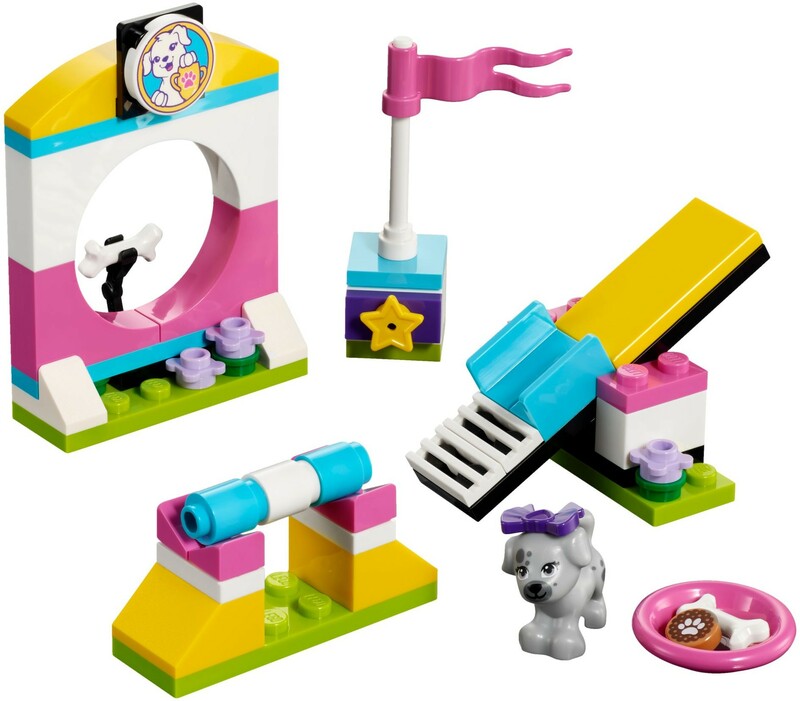 In case you’re not willing to splurge on LEGO sets during the first half of 2017, here’s a more modest option for you — 41303 Puppy Playground. Bright, simple and trendy — this is all you need to keep up with the latest fashions without purchasing yet another Death Star. Tiles, slopes and brackets complete a fine choice of pieces for a set under $10. 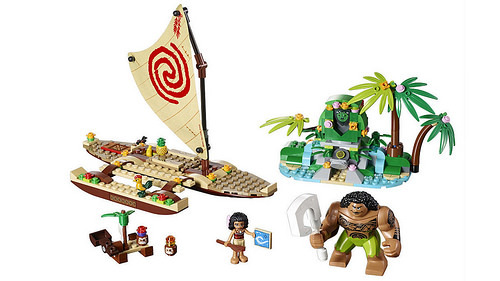 LEGO Disney Moana is a small line of sets, yet we just can’t turn our backs on them. Despite containing a little over 300 pieces, the larger 41150 Moana’s Ocean Voyage includes a valuable choice of green and brown elements of various shades. Ironically Pantone 14-4620 Island Paradise perfectly describes the plates at the base of this island, which is also covered with a pleasant set of green bricks and slopes. Moreover, the ordinary-looking catamaran features 4 different shades of dark brown/orange, and the nougat shades of minifigs’ skin are also remarkable. Comparing the color scheme of the yet-to-be-released 10255 Assembly Square with the Pantone palette, it’s easy to believe that the set was designed to show the latest color trends. Here’s a perfect combination of sand blue, medium nougat and Earth/dark blue, not to mention tan, violet/purple and dark red. I can hardly imagine a better balance of the colors around the square, and even the red baby carriage looks very suitable. If this modular set is your choice for the Spring 2017, you can be sure you’ll be fixed up with all the necessary elements and colors for the whole year! 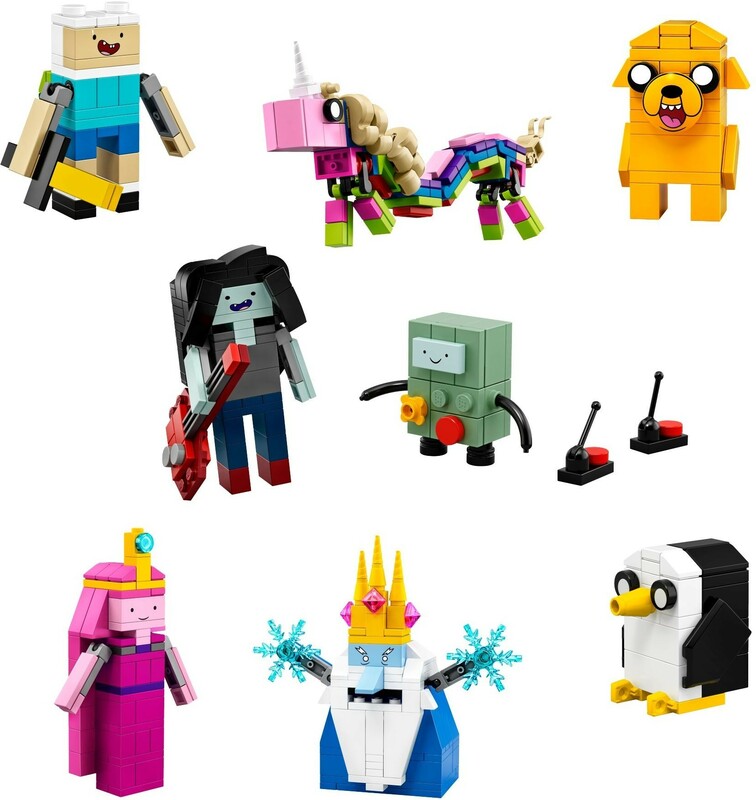 Even if you’re not a fan of the Adventure Time animated series, here’s a weighty reason to get this new LEGO Ideas set this Spring: 21308 Adventure Time features literally the whole of Pantone’s top 10 for the season. Of course, the characters’ colors match their cartoon counterparts, but they look twice as adorable in LEGO colors. It doesn’t matter whether you’re just starting your collect or already have several huge boxes of bricks, we bet this set will make anyone’s selection of parts wider than ever before.